KANSAS CITY, KAN. ---- Sporting Kansas City tied Real Esteli FC 1-1 on Tuesday night at Sporting Park in their third 2013-14 CONCACAF Champions League group stage match. Jacob Peterson's second-half goal secured the point for Sporting KC, who remains unbeaten in the competition (2-0-1, 7 points) and extends their lead in CCL Group 2 to four points after three games. 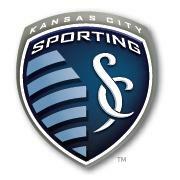 Sporting KC will conclude group play on October 23 when they host Honduran club CD Olimpia. A draw in that match assures Sporting KC of advancing to the quarterfinals, regardless of the result between Real Esteli and CD Olimpia on September 24. Despite Sporting KC controlling possession for much of the first half, the two teams entered the halftime break scoreless. Real Esteli goalkeeper Justo Lorente made five saves Tuesday night, including a point-blank save on Claudio Bieler in the 17th minute and a near-post save on Soony Saad in the 20th minute. Real Esteli grabbed the lead in the 54th minute against the run of play. Samuel Wilson curled in a corner kick and Rudel Calero headed the ball past goalkeeper Eric Kronberg to put the visitors ahead. Less than a minute later, Lorente kept Sporting KC off the board again when he reacted quickly to parry away C.J. Sapong's header off a Graham Zusi corner kick. Sporting KC found their equalizer in the 78th minute off a set piece. Zusi alertly played a quick corner kick to Jacob Peterson at the near post and the veteran winger beat Lorente to level the match. Sporting KC continued to push for the game-winner but were unable to find a second goal. In the second minute of stoppage time, Peterson curled a ball to C.J. Sapong at the six-yard box. Sapong laid the ball off for Benny Feilhaber, who one-timed the ball on target. Lorente dove to his left to block the shot and secure Real Esteli's first point in the tournament. Sporting KC will return to MLS action on Saturday with a road match against Toronto FC. Kickoff is set for 3 p.m. CT at BMO Field, live on KSMO and La Gran D 1340 AM.